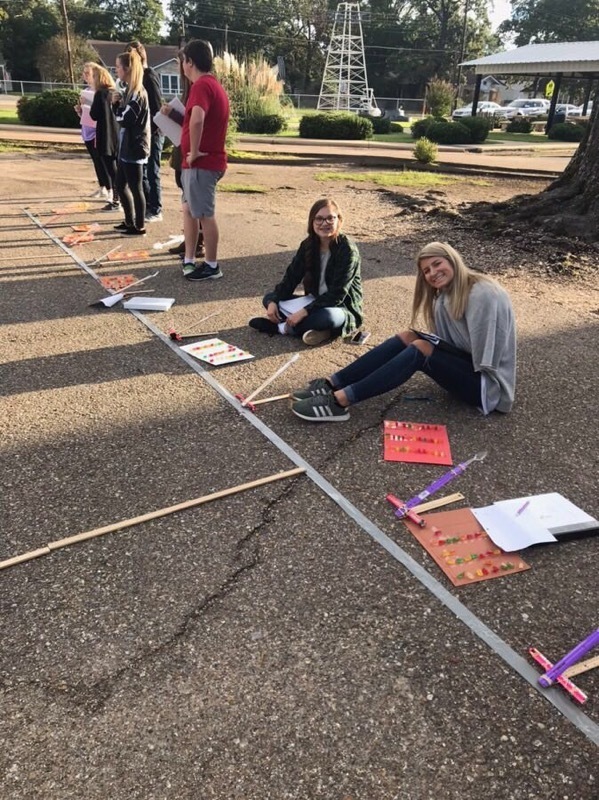 Smackover High School tudents from Mrs. Childers' AP Statistics class did an experiment to test how far gummy bears could go with three different treatments. They did a completely randomized design experiment. The picture shows the the students collecting data.